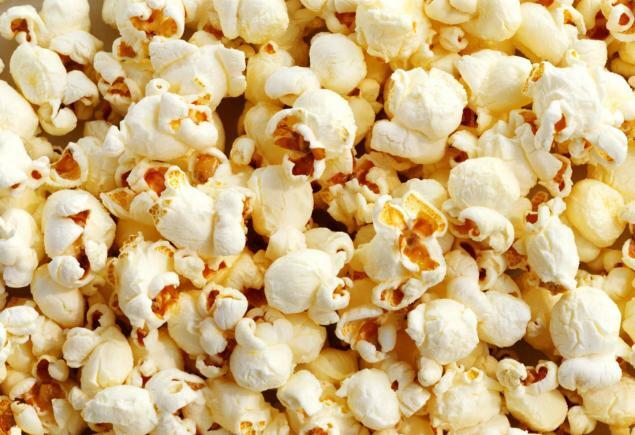 Whatever your preferred genre of movie, there's one thing we all have in common when plonking buttocks in that cinema seat. Granted, that can come in many forms - being moved, made to think, made to laugh, scared. It's very much each to their own with that one. But, at the end of the day, we want to be entertained. We don't want to be walking out of that cinema screen wondering about our life choices. Which, sadly, is exactly what happens when you decide spending a couple of hours with a giant ape is a good use of your time. If you're unsure what to expect should you not heed the warnings and want to go and see this monstrosity, allow me to outline the "plot". Two men persuade a government minister to allow them, with military assistance, to explore an island where things might be. It's just at the end of the Vietnam war, so handily a few blokes are kicking about with nothing better to do. Now, obviously you can't just go barging into an island all blind and unknowing, so you hire a guy who is ace at exploring stuff. You also hire a top photographer. For reasons. And because. From here on in, things go south and giant creatures abound. All in 3D if you're really unlucky. Now, in theory, this should be a good film. It's got the cast, after all. Tom Hiddleston's no slouch, John Goodman has a proven track record with such films, Brie Larson has an Oscar to her name, Samuel L Jackson used to be good - it SHOULD work. For a start, debut director Jordan Vogt-Roberts and his team of writers have no idea what sort of film they are trying to make. Could be Apocalypse Now, could be Jurassic Park, they couldn't decide so went for both options - creating a mash-up you never wanted to happen. As mentioned in our review of Free Fire (also starring Ms Larson as it happens), you can always tell when the cast are having fun. Equally, you can tell when they're not. To a man (and woman), they look confused, baffled, Hiddleston is clearly thinking that if this doesn't get him the James Bond gig his agent is getting fired and Sammy J has figured he'd just cash the cheque and go all Apes On A Plane. There isn't one performance here that comes close to being believable or credible. And given this lot could act the phone book in their sleep and make it watchable, that's got to be down to the writers and director. There's clearly no depth to these characters. Even those blessed with a back story aren't sure why or what for. It's actually physically painful to watch. Then there's the plot itself. Set pieces clearly came first. How people got there are distant second. The result is the realisation that if the writers don't care then why should we? The one thing that saves this abomination from the garbage heap of history is the special effects. 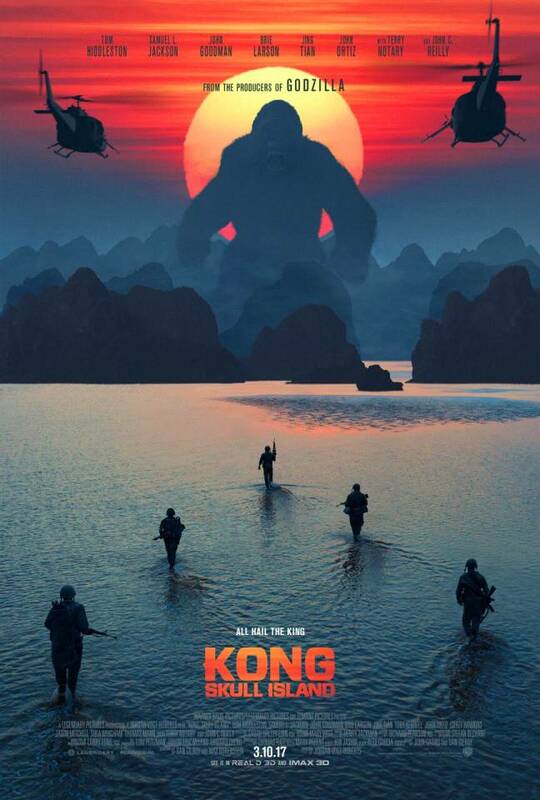 Kong is pretty good, although I fully expect the third Planet Of The Apes film to show how it could have been done, and the other giant monsters are almost engaging. Especially the mahoosive water buffalo. But then, they have to go and ruin it. On an island where creatures we kind of recognise have quietly grown to giant proportions - and a never quiet identified flying dinosaur still exists, because why the hell not eh? - the big bad nasty monster (shown in the trailer) is something of a mystery. I know I'm a wee bit of a pedant, but if everything else is vaguely linked to the world we know, why the hell is a walking skull knocking about. Again, it just feels like no one cared enough to ask the question. And there in lies the whole problem with this movie. Someone somewhere figured, with the third Planet movie looming, we needed another ape film and not one directed by Peter Jackson (but hey, keep the dinosaurs) - even though, by comparison, that one made sense. So what we get is a mess of bits and bobs, strung together by a group of people wishing they where somewhere else and directed by a man who's clearly bitten off more than he can chew. You could genuinely watch this on fast forward and lose nothing. Some films are so bad they're actually quite good. Others are terrible, but you kind of like them anyway. A collection of cliches and bad ideas thrown into a blender than splashed all over screen by a bad Jackson Pollack impressionist.